For those who are in need of a portable generator for emergency use at home or taking with you on trips, there are a considerable number available on the market. One consideration you may want to make is choosing a dual fuel generator. Today, portable generators have been blessed by advance technology that makes them quieter, easier to start, and very reliable even under rugged conditions. The materials that make up a portable generator have improved considerably over the years which is why more people are turning to them in times of emergency as well as for camping and tailgating events. 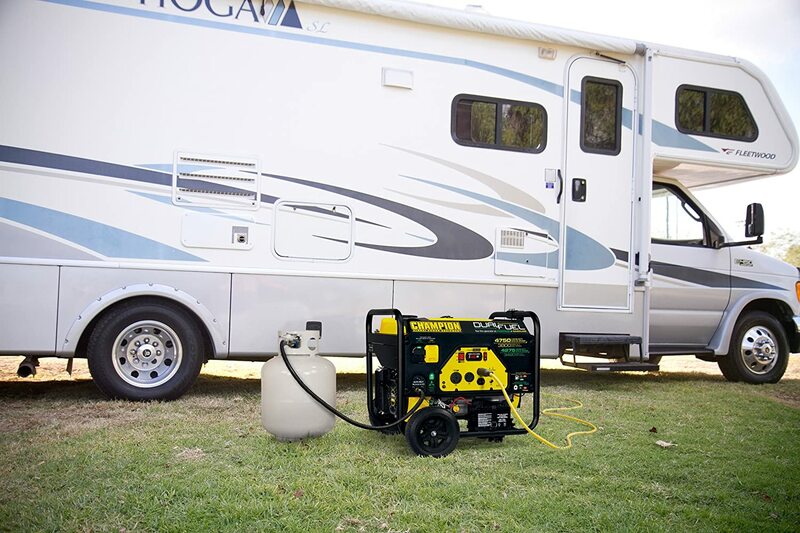 A dual fuel generator means that you can use whichever fuel source is more convenient for your particular needs. 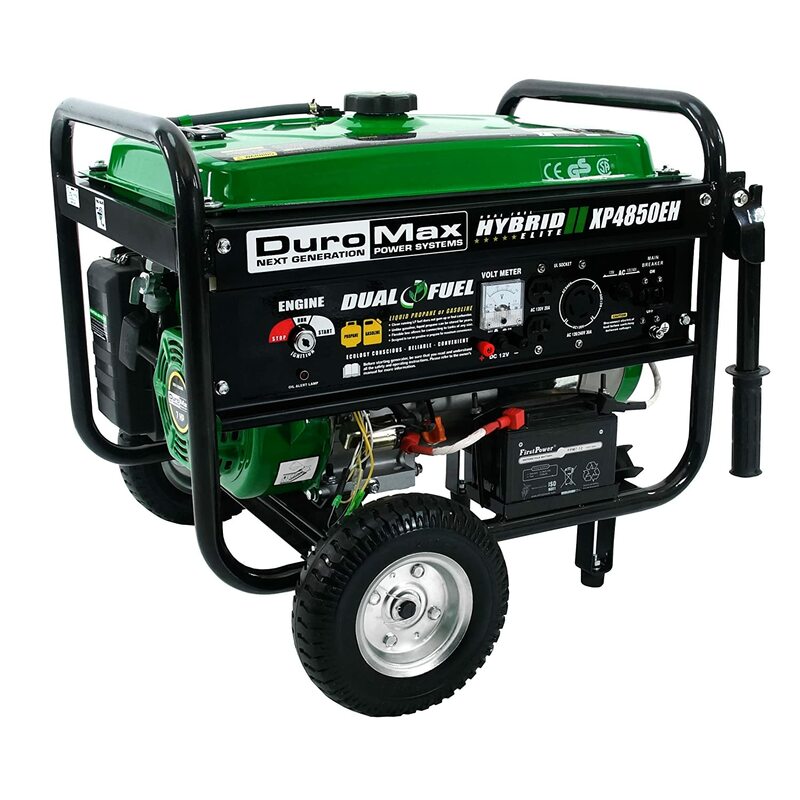 Leading manufacturers of dual fuel portable generators offer durable and portable products. Three generators have earned the title of best dual fuel generators on the market thanks to their individual construction, features, and price. The mighty XP10000EH from DuroMax retains the top spot from our 2015 review as the Best Dual Fuel Genarator on the market is a very popular generator thanks to its remarkable power output in a relatively small package. The portable nature of the generator combined with the power output makes it the perfect choice for emergency use as well as taking out on camping trips. The full power panel includes the key start switch, volt meter, circuit breaker, advance oil warning light, and power outlets. The engine is EPA approved, but it is not available for shipping to California. What makes the XP10000EH the best dual fuel generator on the market today is the combination of power, performance, and longevity. The nifty aspect about this generator is that in cold climate conditions that make propane difficult to start the unit, gasoline can be used instead initially and then the switch can be made in just a few minutes. 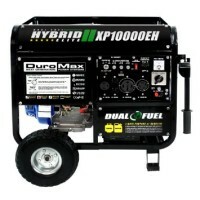 There are few dual fuel generators that combine the power, portability, and reliability of the XP4850EH from DuroMax. 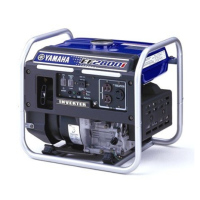 The generator itself offers a number of features that makes it well suited for different needs. First, this generator is constructed on a heavy frame to ensure stability and quiet operation thanks to the completely isolated four point motor mounts. In addition, the generator offers great features making it perfect for emergency use or when traveling on the road. The panel itself includes the key start switch, volt meter, circuit breaker, advance oil warning light, and power outlets for your needs. There is also a low oil indicator lamp and shutoff to prevent damage to the motor itself. Using either gas or propane, the XP4850EH provides a considerable amount of power. However, it must be noted that propane is cleaner, longer lasting, and will cause less wear on the generator itself. Plus, propane is usually more available in emergency situations and can be safely transported when needed. When in use, this generator will run the basic necessities of your home including lights, refrigerator, and other important items. For those who are looking for an emergency use generator while staying within a budget, then this is the product for you. At under $500, the Champion Power Equipment offers a safe, powerful, and portable generator that provides plenty of power to run the essentials in your home. In addition to the impressive two year warranty is a lifetime free technical support which will help walk you through any difficulties with the generator. As with the other best dual fuel generators on the market today, this particular unit offers a considerable number of advantages. This is all the more remarkable thanks to the very low price. Although it can be transported to different events, it does weigh 119 lbs which means it will take a little muscle to get around. However, it is very well priced to be a superb emergency generator for your home that is compact in design so that it can be easily stored. For those who are looking to spend under $600 for a portable generator, this entry from Champion is arguably the best. Overall, the best dual fuel generator is one that fits your needs as well as your budget. The three mentioned here are among the best you can find for 2016. Plus, all three are robust, easy to use, and provide you with the power needed for emergency use, camping events, and even tailgating in approved locations. You may also be interested in our 2014 and 2015 dual fuel generator reviews. Westinghouse is a name synonymous with high quality, durability, and providing the best appliances and electronics. So, it’s little wonder that they are respected for their line of portable generators. 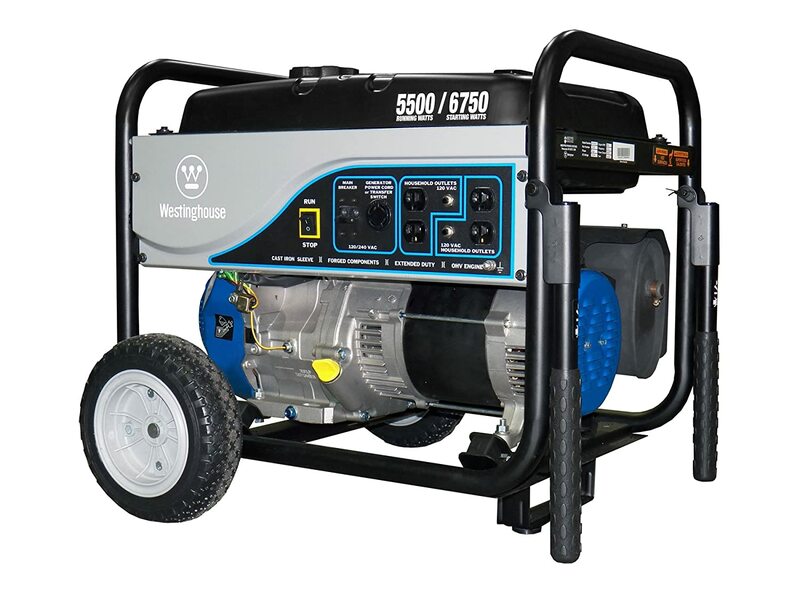 Over the years, Westinghouse has produced a fine line of generators and the WH7500E is one of the more popular thanks to the large engine and ample power it provides. However, does the WH7500E really live up to the Westinghouse name when it comes to being a reliable, durable portable generator? There are a number of features that the WH7500E offers for those who want plenty of power for their essential devices if the electrical grid goes out or when camping or tailgating. There are a number of benefits that the WH7500E offers for those who are looking at the right combination of power and portability in their gas-powered generators. Plenty of Power: The 420cc overhead valve engine provides plenty of power for your essential appliances and devices. Rated at 7500W, you will have the power needed to get you through a blackout. Simple Controls: The control center of the WH7500E could not be simpler to understand and operate. 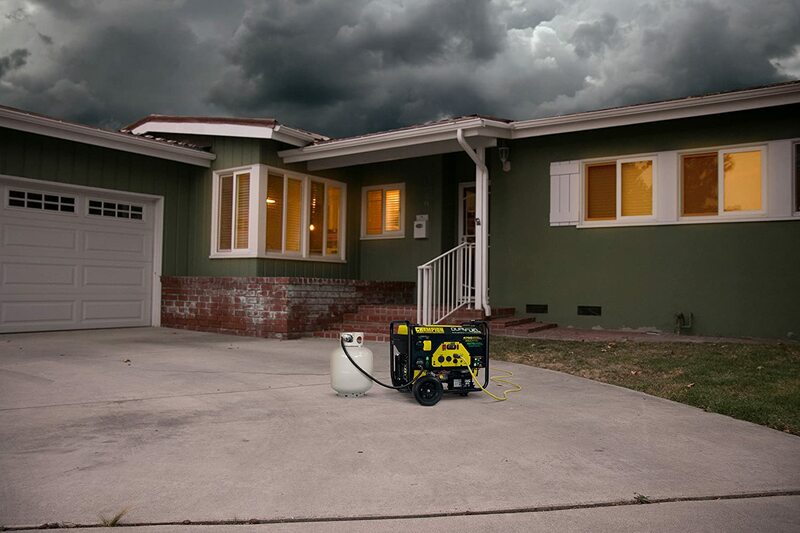 This means for those who may never have used a portable generator before, understanding what to do is easier than ever. Quiet: The Pulse-Flo muffler makes this unit far quieter than other, similarly powered portable generators. This means that you can take it with you on camping and tailgating trips with less worry about making too much noise. If there is a downside, this particular generator is not CARB compliant which means that it cannot be sold in California. Overall, the WH7500E should be considered one of the standards in the line of portable generators from Westinghouse. It is big enough to power your essential appliances, but portable enough to make it easy to move around and to operate. Over the years, Westinghouse has made a number of different products noted for their high quality and durability. This includes their celebrated line of portable generators which are quite popular thanks to their reasonable price and simple controls. However, does the WH5500 portable generator live up to the Westinghouse reputation? There are a number of excellent features that the WH5500 offers for those looking at purchasing an emergency portable generator or one for use in camping or tailgating trips. For those who are looking at striking the right balance between power, portability, and ease of use, the WH5500 does offer quite a bit for most consumers. Good Power: The 5500 running watts provide plenty of power for essential electronic appliances and devices. Intuitive Controls: Another advantage is that the WW5500 is very easy to operate, even for those who are not that familiar with portable generators. Less Noise: Thanks to the Pulse-Flo muffler, the WH5500 generates considerably less noise than its contemporaries. 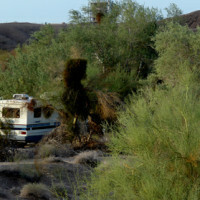 This means that it is more welcome on camping and tailgating trips where quiet operation is a plus. As with the WH7500E, this particular generator is not CARB compliant which means that it does not meet the standards set in California. However, it is for sale in the rest of the US and meets the EPA standards. 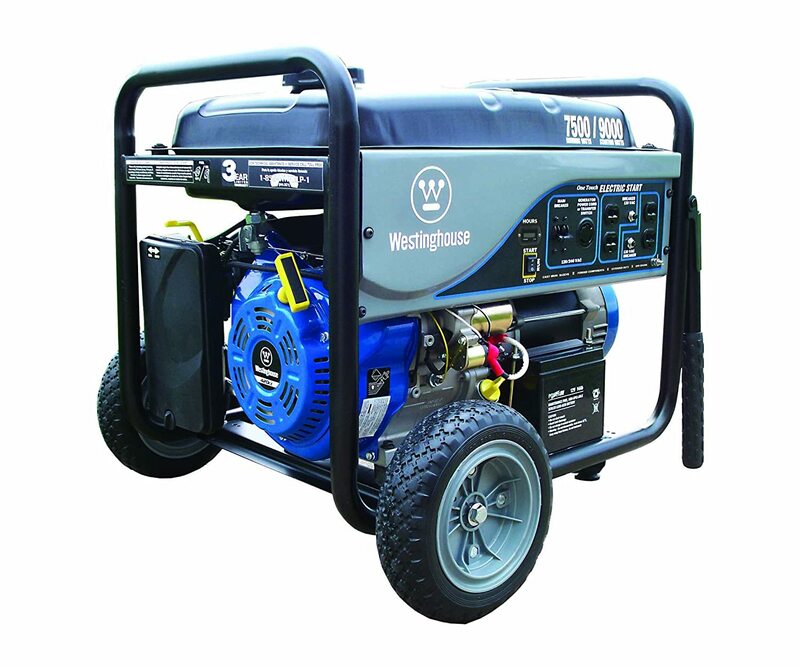 Of all the Westinghouse portable generators, this one may strike the best balance between providing power, easy to operate, and portability. In addition, the WH5500 is more economical than the WH7500E, although it does provide less power. If you are looking for a portable generator that is perfect for camping, tailgating, and running essential electronic appliances when the power grid goes down, then the WH5500 may be the perfect fit. The WH200iXLT may be the best inverter generator value on the market. It offers reliable and quiet 2000 watt power at about a third of the cost of a Honda or Yamaha model. When it comes to portable power generation, one of the more concerning issues for delicate electronic devices is generating clean power so that the electricity does not cause any damage. Fortunately, there are a number of specialized portable generators that will provide the clean power that is needed to operate such devices. One of the more celebrated is the Westinghouse WH2000iXLT inverter generator. The WH2000iXLT does offer a number of features for a small, portable generator that makes it a very attractive purchase. Low Oil Shutdown – The generator will automatically shut when it is out of oil. Economy mode option to save on fuel and create a quieter experience. Great for camping. There are a number of benefits when selecting the WH2000iXLT for portable power generation, particularly if you just need power for your camping or tailgating trips. Lightweight: Although potent enough to power electronic devices, this unit is very lightweight and easy to move around. You can keep it in the truck of your vehicle or in the garage in case it is needed. Easy to Use: The color-coded controls means that it is simple to operate and use when you are out on the road or need power for your devices in case the grid goes down. Clean Power: A primary advantage of an inverter generator. The clean power provided offers less than 3% Total Harmonic Distortion (THD) which is well within the toleration range of most electronic devices. Of the many advantages that the WH2000iXLT offers is that it is one-third the price of Honda and Yamaha inverter 2K generators which makes it a real bargain considering all the great features. Overall, the WH2000iXLT is perfect when you need quiet portable power for camping and delicate electronic devices such as computers, laptops, game systems, and the like. See more top inverter generator reviews here.